Last week, I mentioned we had put a few videos up at Brighteon, as an additional platform, in case of censorship from YouTube and/or Vimeo. Shortly thereafter I got an email from Brighteon saying that the entire platform had been banned from New Zealand and Australia, but that Brighteon was working on taking steps to be allowed on again in those nations. Furthermore, the EU Parliament also passed an internet censorship law this week that is to be implemented over the next two years that could affect the COGwriter Church of God News page and some of what we do at CCOG. This may change how COGwriter is handled. We know that more censorship is coming. So, yes, we will continue to push forward through whatever doors we think are open to us, while they are open to us. And that includes the internet. Yesterday, for example, we updated the Spanish version of the Statement of Beliefs of the Continuing Church of God in order to insure that the edits (mainly additions) over the years were included in it–we believe this will help clarify and teach doctrine in places like Latin America. Here is a link: Declaración de las Doctrinas de la Continuación de la Iglesia de Dios. On other matters, we sent out donation receipts on Tuesday (for donations received up to the day before this calendar year) to US financial supporters, as well as magazines to them and all of our USA subscribers. So, we have now sent out the April-June 2019 edition of the BibleNewsProphecy magazine to all our subscribers. Here is a link to the April-June 2019 edition of Bible News Prophecy magazine. 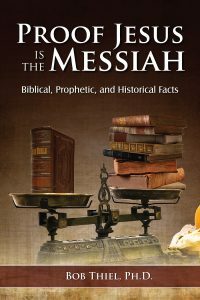 Additionally, to our members and supporters in the USA as well as those who asked us, we also included a copy of the book Proof Jesus is the Messiah. Here is a link to that: Proof Jesus is the Messiah. We sent these out to international subscribers and supporters a little earlier this month since it takes longer for the mail to deliver outside the USA, since we originate the mailing from inside the USA. We also sent out the Spanish version of our magazine as well. 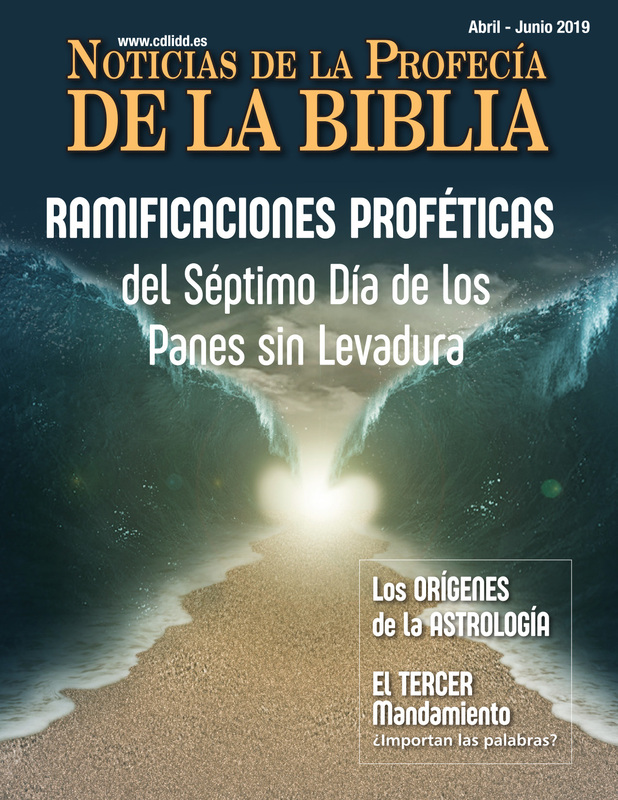 Here is a link to that: Noticias de Profecía de la Biblia Abril-Junio 2019. The magazines in African languages are printed in Kenya and those are not sent from the USA. 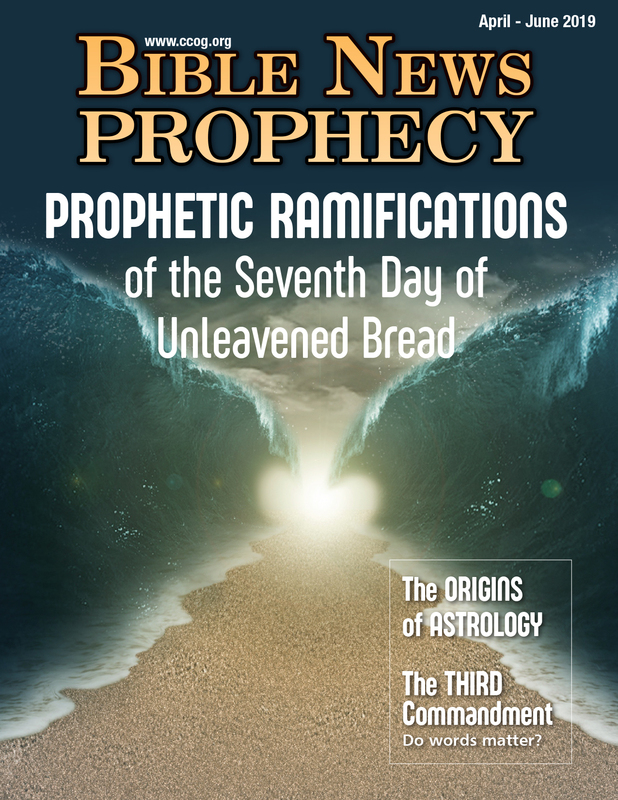 All issues of the Bible News Prophecy magazine have been put out in more than one language. In last week’s Letter to the Brethren, I mentioned that we have had more views of our videos than YouTube has counted in its statistics. For one example, while YouTube shows that we have had about 3,000 views of our animations in total, that vastly understates our actual reach. # of Views: This Ad received in total 20,755 views from advertising, sharing and regular posting. # of People Reached: Approximately 121,783 people saw the Ad. # of Views: This Ad received in total 22,376 views from advertising, sharing and regular posting. # of People Reached: Approximately 29,666 people saw the Ad. # of Views: This Ad received in total 14,284 views from advertising, sharing and regular posting. # of People Reached: Approximately 129,691 people saw the Ad. # of Views: This Ad received in total 13,593 views from advertising, sharing and regular posting. # of People Reached: Approximately 78,032 people saw the Ad. So, as of that report date 71,008 have seen our animations via the Facebook ads. Plus let’s add 2,632 according YouTube, for a total views of 73,640. The goal he and I set was to have at least 100,000 views of the animations by the end of 2019, and we are close to that. Today Friday 22nd March I went to the Philtown Hotel,Velez St,Cagayan De Oro. The Philtown Hotel is situated in downtown CDO in a Commercial District and is well served by amenities. Parking is available and there are many restaurants and Cafes within 5 mins walk of our Hotel and Meeting Venue. Steve and Ruth Dupie are planning to attend from the USA, with Steve Dupuie expected to give several live sermons there. On other Feast of Tabernacles matters, there is expected to be a site in Mexico and they may be close to finalizing that location. But, it is most likely that services would be in Spanish, though it is possible that they may play some sermon messages in English and then translate into Spanish. The German leaders who seem to be replacing Angela Merkel have pushed for greater European military involvement, an expanded European police presence, and ‘Christian values’ (see German leaders pushing for European military, European FBI, ‘Christian values,’ and 666). The Bible shows that a totalitarian militaristic church-state combination will arise in Europe (cf. Revelation 13 and 17) and numerous leaders in Europe are pushing for it. As mentioned earlier (watch also China’s Silk Road and Babylon the Great), Italy has now officially confirmed that it wants to be part of China’s Belt and Road Initiative (see ‘Italy endorses China’s Belt and Road plan in first for a G7 nation’). While some in Europe and the USA fear this will aid China, the ‘roads’ (some are ports) go both ways. This project will have benefits for Europe (watchChina’s Silk Road and Babylon the Great) before some are likely to be used to gather in Armageddon (watch Is China paving roads to Armageddon?, and Jordan, Petra, and Armageddon). A new study came out confirming that male and female brains are different, even before they are born (see ‘Proof that girls and boys are born to be different: Controversial study finds that brain differences between the sexes begin in the womb’). This is another study that negates some of the commonly pushed misinformation suggesting that ‘gender’ is not biological, but the result of societal environmental factors. Of course, many of those pushing the LGBTQ agenda do not want to accept facts, but instead wish to push something that the Bible shows will not end well for society (cf. Jude 7). US President stunned many and pleased Israeli Prime Minister Netanyahu when he announced that the USA would recognize the Golan Heights as “Israeli controlled territory” as opposed to “Israeli occupied territory” (see Evangelicals continue support of Donald Trump, Golan Heights, and Mueller probe). Benjamin Netanyahu compared Donald Trump to ancient Cyrus the Great (see Israeli PM compares Donald Trump to Cyrus, Jerusalem Post says not yet). While Donald Trump has been the most pro-Israeli US president, he is not fulfilling ‘Cyrus the Great’ prophecies, such as those found in Isaiah 44 and 45. Let me add that yesterday the European Union rejected the US position (see EU rejects US recognition of Israeli control of the Golan Heights–a prelude to Daniel 9:27? ), which, in my view, will make Europe and more desired peace deal broker to the Palestinians and other Arabs–and the Bible shows that a deal in that area will come and be confirmed by a European leader per Daniel 9:27. Sermonette, which for most who receive this letter via email will be a recorded one. The one suggested for this week is: Beast Prophecies and European Gold. Sermon, which for most who receive this letter via email will be a recorded one. The one suggested for this week is: Exodus 20: The Ten Commandments. Other sermons are also available at the ContinuingCOG channel. Other sermons are also available at the ContinuingCOG channel. Note: If you have a slow internet connection, you can watch these by starting the video, then below it (and towards the right) look for an outline of a gear–if you click on that, it will allow the YouTube video to be played with lower video quality, but at least it will not stop often–you can select a quality as low as 144p. If your internet connection is still too slow and/or you prefer audio messages to audio-visuals ones, go to the YouTube link for the message, click on SHOW MORE related to the description. You will then see something that says, “Download MP3.” Below that is a link to an MP3 file. Most computers (and even some cellular telephones) will allow MP3 files to be downloaded and played. This is an option we have made available (but we are also looking into ways to improve that as well)–and, of course, we have written article options. 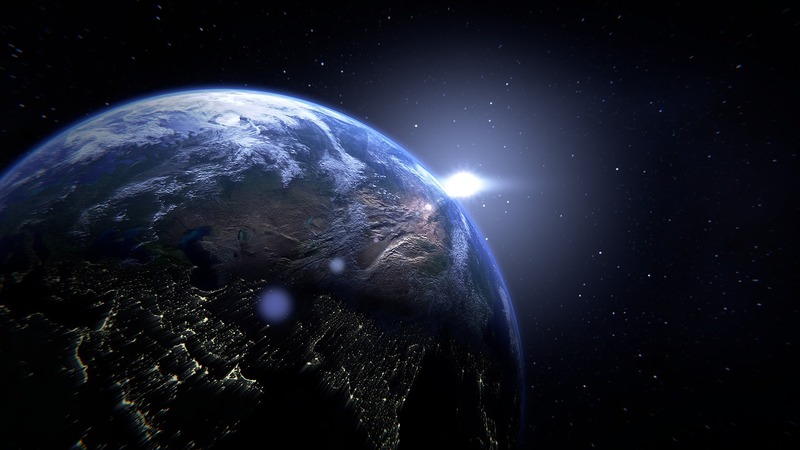 Some people have found that if their internet connections are not fast enough, that they can simply listen to the messages that are found at the Bible News Prophecy online radio channel. IN CASE YOU DO NOT RECEIVE A ‘LETTER TO THE BRETHREN’ FOR ANY WEEK, REMEMBER THAT THERE ARE MANY SERMON MESSAGES ON THE ContinuingCOGchannel AND MANY SERMONETTE MESSAGES ON THE Bible News Prophecy channel. There are also some messages at the CCOGAfrica channel. 3 Grace, mercy, and peace will be with you from God the Father and from the Lord Jesus Christ, the Son of the Father, in truth and love. Brethren, we do have the truth. That is something to rejoice in. We also know that we are to walk according to His commandments. The sermon recommended for this Sabbath contains instructions about ten of them.